The PA Chapter enjoyed its return visit to CHOP to participate during their annual Radio Thon Event. The past two years the event was held in the month of December. The hospital imposes strict visitor restrictions during the winter months because of flu season, so we were not allowed to bring in outside items. 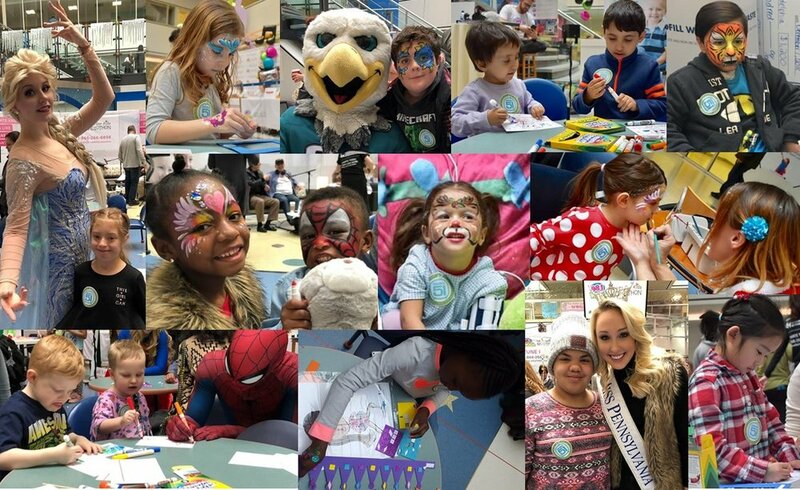 We arrived to the main atrium and Ryan Seacrest Foundation Center already set up with craft tables, glitter tattoos, face painting and caricature drawing stations. With the visitor restrictions in place, a local private school donated the crafts again this year for our tables. We decorated crowns and made winter themed photo frames with the children. We also had the children color ‘thank you’ cards for the sponsors. This year the children were able to interact with a therapy dog. He came to visit right after the magic show. It was a very festive afternoon for the final day of RadioThon. The line was very long for the caricature drawings. That is always a popular station with the children and parents. Overall, we saw 12 girls and 8 boys. We are currently awaiting dates to be added to the child life activity calendar once visitor restrictions are lifted.